Replacement Footswitch for Marshall Amps. Two Button. Light-Up LED. ¼" Plug. Generic version of Marshall PED802 (P-H875) Compatible with: Valvestate VS100R and others Note: LED must receive power externally from the amp (i.e. no battery inside). Packaging Dimensions 6.5 in. x 5.8 in. x 2.5 in. 3 answers The LED lights do not function with the amp I'm using this switch with. What can I do? Be advised that the amp you are using the foot switch with must provide the external power for the footswitch or the LED lights will not function. Does this pedal work with a Marshall DSL 410C? The pedal should work with the Marshall DSL 410C. Be advised that the LED's must be powered by the amplifier. 1 answers How long is the cable on this foot switch? The cable is 15' long. 1 answers Will this work with the Marshall DSL100H amp? It should work but the LED's will not work without the battery mod above. 1 answers Will this work with marshall jcm900 4500 50w head? It should work but the LED's will not work without the battery mod attached above. 1 answers Is the cable hardwired or does the casing have a trs jack? The cable is hardwired to the footswitch and is accompanied by a strain relief. 1 answers Will the battery mod be needed on a JCM900 4100 100 watt head? The channel part works but the reverb switch doesn't do anything. Both lights are on but dim. I am guessing the battery mod is required. Most likely you will need to do the battery mod since the JCM 900 is not designed to power the LED's in this switch. 1 answers Which models need a separate battery and which ones don't? Electronic parts store customer tried doing it himself and it didn't work. He used bi-colour LEDs. Would that be a problem if the amp powers the lights? The LED's need power either from the amp or from a battery. 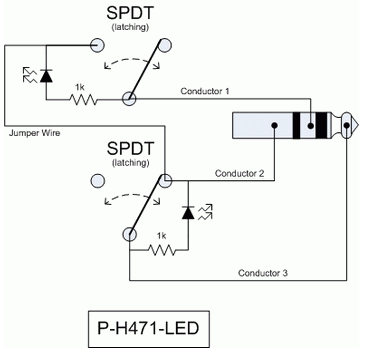 We have no way of knowing all the models that provide power to the LED's in this footswitch. You will want to review the manual for your amp or contact Marshall. We are unsure why this particular footswitch is not working. 1 answers Will this also work with my Valvestate 80V 8080? Will this switch work with a JCM2000 DSL401? 1 answers Would this work with a Hughes and Ketnner Tubemeister deluxe 20? We can not verify that this footswitch will work with that particular amp. You will need to consult a tech. 1 answers Does it work with a Marshall Valvestate VS102R? This should work but we have not tested it with your amp model. 1 answers If necessary, could I flip the switches and LED so the function that was originally controlled by clicking on the left side is now controlled by clicking on the right side and vice versa? I guess the only reason that might NOT be possible is if there is a little circuit board in there rather than point-to-point wiring. Also, my amp provides 5v 10mA - is that enough for the LED please? It may be possible but is something we can not recommend and you would be doing so at your discretion. 1 answers Will this work with a Marshall as50d amp? This footswitch is the generic version of the M-PEDL-91003 and that is the correct footswitch for the amp in question. 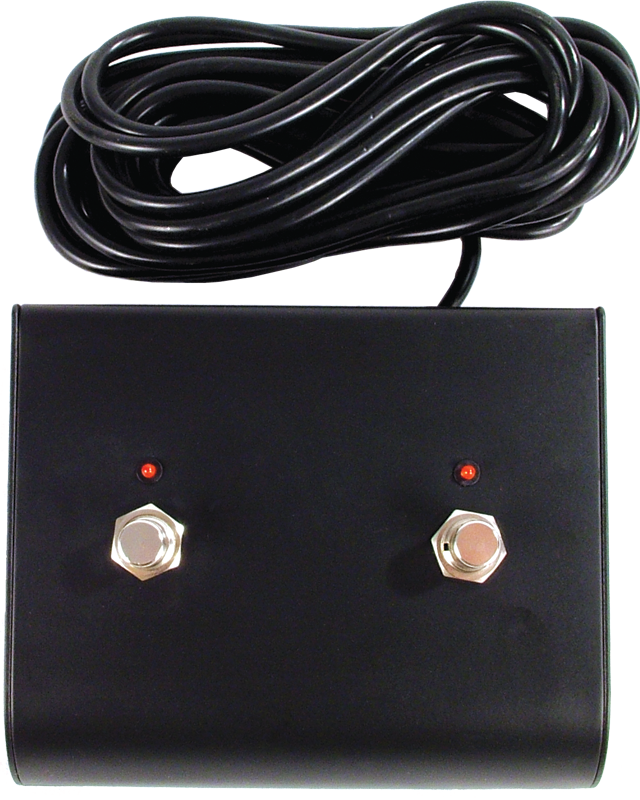 This footswitch should be the correct one for your amp. 1 answers Is it compatible with the MG100HDFX? This is the generic version of the PED802, and should most likely work with your amp. Note that the LED lights on this footswitch require power from the amp, as there is no internal battery in this footswitch. 1 answers Will this work with Valvestate 8100 Head? The Valvestate VS100R (as well as others) is included in the list of compatible amps, so most likely, but you may need to contact Marshall direct to verify for certain. This is the generic version of the M-PED802.